Facing an economic downturn and fleeing businesses, the city of Dubuque in the late 1970’s was looking for funding for an industrial park. A new highway through downtown Dubuque displaced businesses and alternative locations were few. Grant money was available to non-profit organizations, but not to municipalities. To seize this opportunity, the Dubuque City Council voted in 1980 to form a non-profit entity and named it Dubuque In-Futuro. The grant money received for the initial Westside industrial park investment and the subsequent sale of the lots has seeded several other impactful projects throughout Dubuque. Today, we know Dubuque In-Futuro as Dubuque Initiatives. It is an entirely self-sustaining entity, which serves as a catalyst to community development and job creation. Currently, eleven board members serve the organization. Care is taken to choose board representatives, including a minority of city representatives, who have a diverse portrayal of economic drivers, to consider every viewpoint. 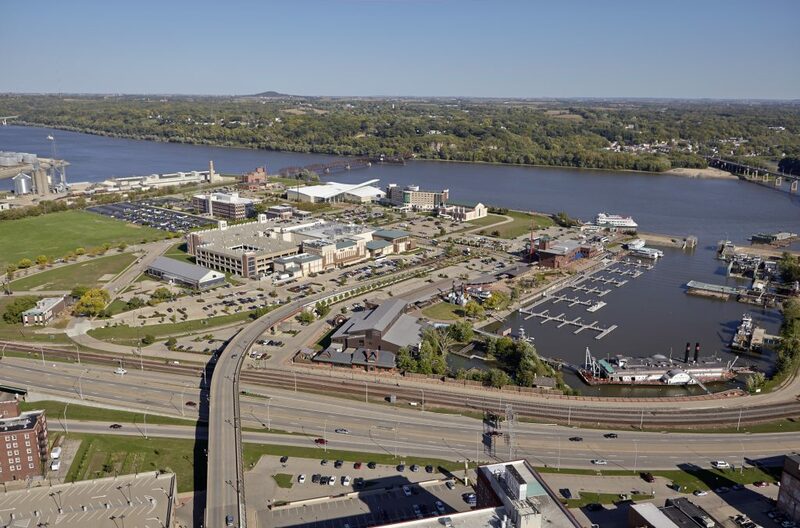 Dubuque Initiatives, Inc. is a sustainable, non-profit organization, working as a community partner and catalyst, to undertake challenging projects involving job creation and/or community revitalization that supports a viable, livable and equitable community.